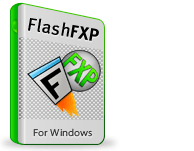 You can download and try FlashFXP before you buy it! This download is the fully-functional version of the application and includes all features. A license key to remove the shareware reminder and 30 day trial limit. Home users (non-commercial) can use a single license key on up to 4 personal computers. Uninstalling prior versions of FlashFXP before upgrading is not necessary.